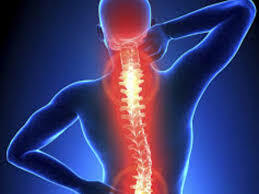 Sciatica If you are suffering from Sciatica London and you are sitting at a desk all day, with a sedentary lifestyle. Corrective exercise could reduce the amount of time and pain you suffer. The duration of time will depend on how much damage there is and whether there is any nerve or spinal damage. In my 18 years of using corrective exercise with my clients, I have found that corrective exercise is great at helping people with Sciatica and has enabled my clients to become pain-free! If the symptoms of Sciatica are mild, it may go within 4-6 weeks. If the pain is acuter it may take 12-18 weeks to rebalance your posture, strengthen your core and correct your movement patterns. If you are currently suffering from Sciatica Nerve pain, here are some quick tips to help! 1. Sciatica stretching will really help. But, it’s important to be properly assessed. Only stretch the muscles that are tight! 2. 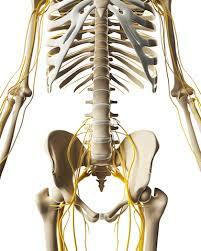 Sciatica strengthen the muscles that are weak, or that have completely switched off! 3. Sciatica massage therapy will help to ease Sciatica and can help to relieve the symptoms of tight muscles and increase your range of movement too. 4. Ergonomics! Another of my tips is to look at your home and work ergonomics. If you are sitting in the same position for too long this will definitely aggravate your sciatic nerve. I do not recommend swimming or yoga for nerve pain simply because there’s not usually any assessments carried out before the exercise. A corrective exercise program is designed to improve posture, strengthen your core and help with your movement patterns. By following a corrective exercise program you may find you become leaner, toned as well as becoming pain-free. I’ve been helping people with Sciatica! and pain for many years so if you’re looking for a complete holistic approach and would like to become pain-free, contact me today!